Bij wie de diagnose van een hersentumor glioblastoma wordt geconstateerd krijgt meestal als behandeling voorgesteld radiotherapie - bestraling plus een chemokuur met temodal. Echter ook deze behandeling is bij zelfs een volledige operatieve verwijdering zelden of nooit genezend. Toch lijkt bestraling - radiotherapie wel het leven te verlengen. Maar lang niet altijd. Bovendien kan radiotherapie - bestraling ook de kwaliteit van leven ernstig aantasten, zowel op korte als lange termijn. Zie ook literatuurlijsten hoe die bijwerkingen van o.a. radiotherapie - bestraling of specifiek bij hersentumoren te verminderen. De ASTRO (American Society for Radiation Oncology) heeft nu op basis van beschikbare literatuur richtlijnen opgesteld hoe en wanneer radiotherapie - bestraling in te zetten. Als u klikt op deze PDF : Radiation therapy for glioblastoma: Executive summary of an American Society for Radiation Oncology Evidence-Based Clinical Practice Guideline kunt u het volledige studierapport in PDF inzien of downloaden. Fractionated radiotherapy improves overall survival compared with chemotherapy or best supportive care alone after biopsy or resection of newly diagnosed glioblastoma (HQE). Whether radiotherapy is indicated in a particular individual may depend on patient characteristics, such as performance status (Strong recommendation). The addition of concurrent and adjuvant temozolomide to fractionated radiotherapy improves overall survival and progression-free survival compared with fractionated radiotherapy alone, with a reasonably low incidence of early adverse events and without impairing quality of life (HQE). The guideline panel endorses fractionated radiotherapy with concurrent and adjuvant temozolomide as the standard of care after biopsy or resection of newly diagnosed glioblastoma in patients up to 70 years of age (Strong recommendation). The addition of bevacizumab (Avastin) to standard therapy for newly diagnosed glioblastoma (ie, fractionated radiotherapy with concomitant and adjuvant temozolomide) does not improve overall survival and is associated with a higher incidence of early adverse events (HQE). Bevacizumab may, however, prolong progression-free survival (MQE). The panel does not recommend the routine addition of bevacizumab to standard therapy for newly diagnosed glioblastoma outside a clinical trial (Strong recommendation). The addition of other systemic therapies to conventional radiotherapy with or without temozolomide remains investigational (Strong recommendation). For patients younger than 70 years of age with a good performance status (Karnofsky performance score ≥ 60), the optimal-dose fractionation schedule for external-beam radiation therapy after resection or biopsy is 60 Gy in 2-Gy fractions delivered over 6 weeks (HQE). Numerous other dose schedules have been explored without definitive benefit. Care should be taken to keep dose to critical structures (eg, brainstem, optic chiasm/nerves) within acceptable limits (Strong recommendation). Older age and poor performance status are associated with shorter survival in patients with glioblastoma (MQE). Prognostic considerations should help to guide treatment recommendations for individual patients (Strong recommendation). Among elderly patients (≥ 70 years old) with fair to good performance status (Karnofsky performance score ≥ 50), the panel recommends external-beam radiation therapy after biopsy or resection because radiotherapy (compared with supportive care alone) improves overall survival without impairing quality of life or cognition (HQE). The efficacy of concurrent and adjuvant temozolomide in this population has not been evaluated in a randomized trial but may be considered for selected patients (LQE; Strong recommendation). Among elderly patients, no evidence shows that conventionally fractionated radiotherapy (60 Gy in 30 fractions over 6 weeks) is more efficacious than hypofractionated radiotherapy (eg, 40 Gy in 15 fractions over 3 weeks; HQE). Compared with conventionally fractionated radiotherapy, hypofractionated radiotherapy has been associated with superior survival and less corticosteroid requirement (MQE; Strong recommendation). The optimal-dose fractionation schedule has not yet been determined for elderly patients, although recent randomized trials have suggested that shorter regimens may be equivalent to longer-duration treatment. Given the absence of proven superiority for conventionally fractionated radiotherapy, the panel recommends hypofractionated radiotherapy for elderly patients with a fair to good performance status (HQE). Temozolomide monotherapy is an efficacious alternative for elderly patients with O6-methylguanine DNA methyltransferase gene (MGMT) promoter methylation (HQE), but the panel does not recommend temozolomide monotherapy as first-line therapy for patients with unmethylated MGMT promoters (MQE). Temozolomide monotherapy confers a higher risk of adverse events than radiotherapy, particularly with respect to hematologic toxicity, nausea, and vomiting (MQE; Strong recommendation). Among elderly patients with a good performance status, the addition of concurrent and adjuvant temozolomide to hypofractionated radiotherapy seems to be safe and efficacious without impairing quality of life (LQE). In such patients, the panel recommends consideration of concurrent and adjuvant temozolomide. The combination of hypofractionated radiotherapy and temozolomide may be particularly efficacious in those with a methylated MGMT promoter (LQE; Strong recommendation). Reasonable options for patients with a poor performance status include hypofractionated radiotherapy alone, temozolomide alone, or best supportive care (LQE; Strong recommendation). Although glioblastoma is believed to be diffusely infiltrative, partial-brain radiation therapy leads to no worse survival than whole-brain radiation therapy (HQE). The panel endorses partial-brain radiation therapy as the standard treatment paradigm for glioblastoma (Strong recommendation). Two phase: (1) Primary target volume encompasses edema (hyperintense region on T2 or fluid-attenuated inversion recovery on magnetic resonance imaging) and gross residual tumor/resection cavity, and (2) boost target volume encompasses gross residual tumor/resection cavity. A range of acceptable clinical target volume margins exists. One phase: Single target volume includes gross residual tumor/resection cavity with wide margins, without specifically targeting edema. Reduction of target volumes allows less radiation to be delivered to radiographically normal brain. Delivery of less radiation to normal brain should result in less late toxicity (LQE), but this remains to be validated (Weak recommendation). In younger patients with a good performance status, focal re-irradiation (eg, stereotactic radiosurgery, hypofractionated stereotactic radiotherapy, brachytherapy) for recurrent glioblastoma may improve outcomes compared with supportive care or systemic therapy alone (LQE). Tumor size and location should be taken into account when deciding whether re-irradiation would be safe (LQE; Weak recommendation). Het volledige studierapport: Radiation therapy for glioblastoma: Executive summary of an American Society for Radiation Oncology Evidence-Based Clinical Practice Guideline kunt u gratis inzien. Radiation therapy occupies an integral role in treating glioblastoma. Whether and how radiation therapy should be applied depends on characteristics specific to tumor and patient, including age and performance status. To present evidence-based guidelines for radiation therapy in treating glioblastoma not arising from the brainstem. The American Society for Radiation Oncology (ASTRO) convened the Glioblastoma Guideline Panel to perform a systematic literature review investigating the following: (1) Is radiation therapy indicated after biopsy/resection of glioblastoma and how does systemic therapy modify its effects? (2) What is the optimal dose-fractionation schedule for external beam radiation therapy after biopsy/resection of glioblastoma and how might treatment vary based on pretreatment characteristics such as age or performance status? (3) What are ideal target volumes for curative-intent external beam radiation therapy of glioblastoma? (4) What is the role of reirradiation among glioblastoma patients whose disease recurs following completion of standard first-line therapy? Guideline recommendations were created using predefined consensus-building methodology supported by ASTRO-approved tools for grading evidence quality and recommendation strength. Following biopsy or resection, glioblastoma patients with reasonable performance status up to 70 years of age should receive conventionally fractionated radiation therapy (eg, 60 Gy in 2-Gy fractions) with concurrent and adjuvant temozolomide. Routine addition of bevacizumab to this regimen is not recommended. Elderly patients (≥70 years of age) with reasonable performance status should receive hypofractionated radiation therapy (eg, 40 Gy in 2.66-Gy fractions); preliminary evidence may support adding concurrent and adjuvant temozolomide to this regimen. 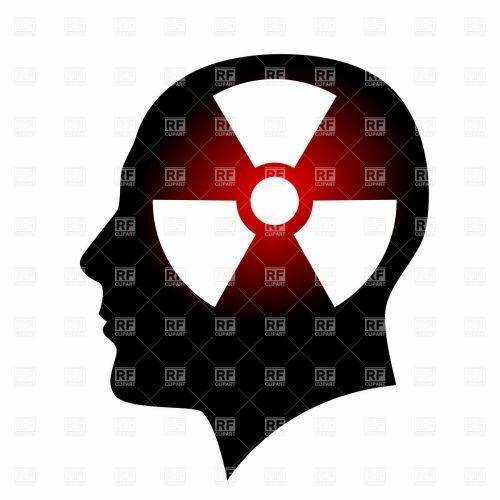 Partial brain irradiation is the standard paradigm for radiation delivery. A variety of acceptable strategies exist for target volume definition, generally involving 2 phases (primary and boost volumes) or 1 phase (single volume). For recurrent glioblastoma, focal reirradiation can be considered in younger patients with good performance status. Qaseem, A., Snow, V., Owens, D.K., Shekelle, P. The development of clinical practice guidelines and guidance statements of the American College of Physicians: Summary of methods. Ann Intern Med. 2010;153:194–199. Walker, M.D., Alexander, E. Jr., Hunt, W.E. et al, Evaluation of BCNU and/or radiotherapy in the treatment of anaplastic gliomas. A cooperative clinical trial. J Neurosurg. 1978;49:333–343. Walker, M.D., Green, S.B., Byar, D.P. et al, Randomized comparisons of radiotherapy and nitrosoureas for the treatment of malignant glioma after surgery. N Engl J Med. 1980;303:1323–1329. Walker, M.D., Strike, T.A., Sheline, G.E. An analysis of dose-effect relationship in the radiotherapy of malignant gliomas. Int J Radiat Oncol Biol Phys. 1979;5:1725–1731. Kristiansen, K., Hagen, S., Kollevold, T. et al, Combined modality therapy of operated astrocytomas grade III and IV. Confirmation of the value of postoperative irradiation and lack of potentiation of bleomycin on survival time: A prospective multicenter trial of the Scandinavian Glioblastoma Study Group. Cancer. 1981;47:649–652. Sandberg-Wollheim, M., Malmstrom, P., Stromblad, L.G. et al, A randomized study of chemotherapy with procarbazine, vincristine, and lomustine with and without radiation therapy for astrocytoma grades 3 and/or 4. Cancer. 1991;68:22–29. Laperriere, N., Zuraw, L., Cairncross, G. Cancer Care Ontario Practice Guidelines Initiative Neuro-Oncology Disease Site G. Radiotherapy for newly diagnosed malignant glioma in adults: A systematic review. Radiother Oncol. 2002;64:259–273. Keime-Guibert, F., Chinot, O., Taillandier, L. et al, Radiotherapy for glioblastoma in the elderly. N Engl J Med. 2007;356:1527–1535. Stupp, R., Hegi, M.E., Mason, W.P. et al, Effects of radiotherapy with concomitant and adjuvant temozolomide versus radiotherapy alone on survival in glioblastoma in a randomised phase III study: 5-year analysis of the EORTC-NCIC trial. Lancet Oncol. 2009;10:459–466. Taphoorn, M.J., Stupp, R., Coens, C. et al, Health-related quality of life in patients with glioblastoma: A randomised controlled trial. Lancet Oncol. 2005;6:937–944. Athanassiou, H., Synodinou, M., Maragoudakis, E. et al, Randomized phase II study of temozolomide and radiotherapy compared with radiotherapy alone in newly diagnosed glioblastoma multiforme. J Clin Oncol. 2005;23:2372–2377. Szczepanek, D., Marchel, A., Moskala, M., Krupa, M., Kunert, P., Trojanowski, T. Efficacy of concomitant and adjuvant temozolomide in glioblastoma treatment. A multicentre randomized study. Neurol Neurochir Pol. 2013;47:101–108. Kocher, M., Frommolt, P., Borberg, S.K. et al, Randomized study of postoperative radiotherapy and simultaneous temozolomide without adjuvant chemotherapy for glioblastoma. Strahlenther Onkol. 2008;184:572–579. Hart, M.G., Garside, R., Rogers, G., Stein, K., Grant, R. Temozolomide for high grade glioma. Cochrane Database Syst Rev. 2013;4:CD007415. Chinot, O.L., Wick, W., Mason, W. et al, Bevacizumab plus radiotherapy-temozolomide for newly diagnosed glioblastoma. N Engl J Med. 2014;370:709–722. Gilbert, M.R., Dignam, J.J., Armstrong, T.S. et al, A randomized trial of bevacizumab for newly diagnosed glioblastoma. N Engl J Med. 2014;370:699–708. Hegi, M.E., Diserens, A.C., Gorlia, T. et al, MGMT gene silencing and benefit from temozolomide in glioblastoma. N Engl J Med. 2005;352:997–1003. Bleehen, N.M., Stenning, S.P. A Medical Research Council trial of two radiotherapy doses in the treatment of grades 3 and 4 astrocytoma. The Medical Research Council Brain Tumour Working Party. Br J Cancer. 1991;64:769–774. Nelson, D.F., Diener-West, M., Horton, J., Chang, C.H., Schoenfeld, D., Nelson, J.S. Combined modality approach to treatment of malignant gliomas--re-evaluation of RTOG 7401/ECOG 1374 with long-term follow-up: A joint study of the Radiation Therapy Oncology Group and the Eastern Cooperative Oncology Group. NCI Monogr. 1988;:279–284. Prados, M.D., Wara, W.M., Sneed, P.K. et al, Phase III trial of accelerated hyperfractionation with or without difluromethylornithine (DFMO) versus standard fractionated radiotherapy with or without DFMO for newly diagnosed patients with glioblastoma multiforme. Int J Radiat Oncol Biol Phys. 2001;49:71–77. Souhami, L., Seiferheld, W., Brachman, D. et al, Randomized comparison of stereotactic radiosurgery followed by conventional radiotherapy with carmustine to conventional radiotherapy with carmustine for patients with glioblastoma multiforme: Report of Radiation Therapy Oncology Group 93–05 protocol. Int J Radiat Oncol Biol Phys. 2004;60:853–860. Lawrence, Y.R., Li, X.A., el Naqa, I. et al, Radiation dose-volume effects in the brain. Int J Radiat Oncol Biol Phys. 2010;76:S20–S27. Reddy, K., Damek, D., Gaspar, L.E. et al, Phase II trial of hypofractionated IMRT with temozolomide for patients with newly diagnosed glioblastoma multiforme. Int J Radiat Oncol Biol Phys. 2012;84:655–660. Yoon, S.M., Kim, J.H., Kim, S.J. et al, Hypofractionated intensity-modulated radiotherapy using simultaneous integrated boost technique with concurrent and adjuvant temozolomide for glioblastoma. Tumori. 2013;99:480–487. Curran, W.J. Jr., Scott, C.B., Horton, J. et al, Recursive partitioning analysis of prognostic factors in three Radiation Therapy Oncology Group malignant glioma trials. J Natl Cancer Inst. 1993;85:704–710. Roa, W., Brasher, P.M., Bauman, G. et al, Abbreviated course of radiation therapy in older patients with glioblastoma multiforme: A prospective randomized clinical trial. J Clin Oncol. 2004;22:1583–1588. Malmstrom, A., Gronberg, B.H., Marosi, C. et al, Temozolomide versus standard 6-week radiotherapy versus hypofractionated radiotherapy in patients older than 60 years with glioblastoma: The Nordic randomised, phase 3 trial. Lancet Oncol. 2012;13:916–926. Wick, W., Platten, M., Meisner, C. et al, Temozolomide chemotherapy alone versus radiotherapy alone for malignant astrocytoma in the elderly: The NOA-08 randomised, phase 3 trial. Lancet Oncol. 2012;13:707–715. Gallego Perez-Larraya, J., Ducray, F., Chinot, O. et al, Temozolomide in elderly patients with newly diagnosed glioblastoma and poor performance status: An ANOCEF phase II trial. J Clin Oncol. 2011;29:3050–3055. Minniti, G., Lanzetta, G., Scaringi, C. et al, Phase II study of short-course radiotherapy plus concomitant and adjuvant temozolomide in elderly patients with glioblastoma. Int J Radiat Oncol Biol Phys. 2012;83:93–99. Minniti, G., Scaringi, C., Baldoni, A. et al, Health-related quality of life in elderly patients with newly diagnosed glioblastoma treated with short-course radiation therapy plus concomitant and adjuvant temozolomide. Int J Radiat Oncol Biol Phys. 2013;86:285–291. Gardner, W.J. Removal of the right cerebral hemisphere for infiltrating glioma. JAMA. 1933;101:823–826. Wallner, K.E., Galicich, J.H., Krol, G., Arbit, E., Malkin, M.G. Patterns of failure following treatment for glioblastoma multiforme and anaplastic astrocytoma. Int J Radiat Oncol Biol Phys. 1989;16:1405–1409. Gaspar, L.E., Fisher, B.J., Macdonald, D.R. et al, Supratentorial malignant glioma: Patterns of recurrence and implications for external beam local treatment. Int J Radiat Oncol Biol Phys. 1992;24:55–57. Shapiro, W.R., Green, S.B., Burger, P.C. et al, Randomized trial of three chemotherapy regimens and two radiotherapy regimens and two radiotherapy regimens in postoperative treatment of malignant glioma. Brain Tumor Cooperative Group Trial 8001. J Neurosurg. 1989;71:1–9. Sharma, R.R., Singh, D.P., Pathak, A. et al, Local control of high-grade gliomas with limited volume irradiation versus whole brain irradiation. Neurol India. 2003;51:512–517. Kelly, P.J., Daumas-Duport, C., Scheithauer, B.W., Kall, B.A., Kispert, D.B. Stereotactic histologic correlations of computed tomography- and magnetic resonance imaging-defined abnormalities in patients with glial neoplasms. Mayo Clin Proc. 1987;62:450–459. Chang, E.L., Akyurek, S., Avalos, T. et al, Evaluation of peritumoral edema in the delineation of radiotherapy clinical target volumes for glioblastoma. Int J Radiat Oncol Biol Phys. 2007;68:144–150. Minniti, G., Amelio, D., Amichetti, M. et al, Patterns of failure and comparison of different target volume delineations in patients with glioblastoma treated with conformal radiotherapy plus concomitant and adjuvant temozolomide. Radiother Oncol. 2010;97:377–381. Gebhardt, B.J., Dobelbower, M.C., Ennis, W.H., Bag, A.K., Markert, J.M., Fiveash, J.B. Patterns of failure for glioblastoma multiforme following limited-margin radiation and concurrent temozolomide. Radiat Oncol. 2014;9:130. Kiebert, G.M., Curran, D., Aaronson, N.K. et al, Quality of life after radiation therapy of cerebral low-grade gliomas of the adult: Results of a randomised phase III trial on dose response (EORTC trial 22844). EORTC Radiotherapy Co-operative Group. Eur J Cancer. 1998;34:1902–1909. Gondi, V., Mehta, M., Pugh, S. et al, Memory preservation with conformal avoidance of the hippocampus during whole-brain radiotherapy (WBRT) for patients with brain metastases: Primary endpoint results of RTOG 0933 . Int J Radiat Oncol Biol Phys. 2013;87:1186. Carson, K.A., Grossman, S.A., Fisher, J.D., Shaw, E.G. Prognostic factors for survival in adult patients with recurrent glioma enrolled onto the new approaches to brain tumor therapy CNS consortium phase I and II clinical trials. J Clin Oncol. 2007;25:2601–2606. Shaw, E., Scott, C., Souhami, L. et al, Single dose radiosurgical treatment of recurrent previously irradiated primary brain tumors and brain metastases: Final report of RTOG protocol 90–05. Int J Radiat Oncol Biol Phys. 2000;47:291–298. Gutin, P.H., Iwamoto, F.M., Beal, K. et al, Safety and efficacy of bevacizumab with hypofractionated stereotactic irradiation for recurrent malignant gliomas. Int J Radiat Oncol Biol Phys. 2009;75:156–163. Cabrera, A.R., Cuneo, K.C., Desjardins, A. et al, Concurrent stereotactic radiosurgery and bevacizumab in recurrent malignant gliomas: A prospective trial. Int J Radiat Oncol Biol Phys. 2013;86:873–879. Presented at the 57th ASTRO Annual Meeting, October 18-21, 2015, San Antonio, TX. Conflicts of interest: Before initiating work on this guideline, all panelists completed disclosure statements and pertinent disclosures are published within this report. Where potential conflicts are detected, remedial measures to address them are taken and noted here. Dr Kirkpatrick receives research funding, honoraria, and travel expenses from Varian; is a partner in ClearSight Radiotherapy Products; and received previous research funding from Genentech. Dr Fiveash receives honoraria, travel expenses, and research funding from Varian. Dr Shig serves on an advisory board for Genentech and received previous honoraria and travel expenses from Merck. Dr Koay receives research funding from Phillips and has a pending patent on quantitative pancreatic image analysis. Dr Lutz had previous stock in Tosk and Oculus. Dr Vogelbaum is a consultant for NeuralStem and has stock options, royalties, and patent licensing and copyright fees from Infuseon. Dr Reardon serves on advisory boards for Roche/Genentech, EMD Serono, Novartis, Amgen, Abbvie, Bristol-Myers Squibb, Cavion, Celldex, Juno Pharmaceuticals, Momenta Pharmaceuticals, Novocure, Oxigene, Regeneron, and Stemline; served on a previous advisory board for Apogenix; is on speaker bureaus for Merck/Scherin and Roche/Genentech; and receives research funding from Celldex, Inovio, and Midatech. Dr Wen is on advisory boards for Roche/Genentech, Novartis, Regeneron, Monteris, and Cavion; is a speaker for Merck; is steering committee chair for Vascular Biogenics trial; and was previously on advisory boards for Abbvie, Cubist, Foundation Medicine, Merck, and Midatech. Dr Chang receives honoraria from Abbvie BrainLab, and Elekta. The panel chairs and American Society for Radiation Oncology Guidelines Subcommittee reviewed these disclosures and took measures to mitigate the impact of potential conflicts. Because of relationships with Merck, Drs Reardon, Shih, and Wen did not write the recommendations and narratives addressing temozolomide and were recused from consensus voting on these recommendations. Because of relationships with Genentech, Drs Reardon, Wen, and Kirkpatrick did not write the recommendations and narratives regarding bevacizumab and were recused from voting on these recommendations. No other disclosures were viewed as affecting guideline content. Supplementary material for this article (http://dx.doi.org/10.1016/j.prro.2016.03.007) can be found at www.practicalradonc.org. © 2016 American Society for Radiation Oncology. Published by Elsevier Inc. All rights reserved. Reageer op "Richtlijnen van American Society for Radiation Oncology (ASTRO) hoe en wanneer radiotherapie toe te passen bij hersentumoren - glioblastoma multiforme"